FOR wants YOU to volunteer! 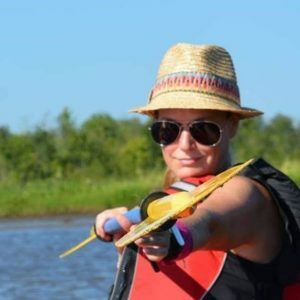 So many days we look at each other and say, “What should we do today?” Of all of the unique hobbies out there to fill spare time, my favorite is volunteering. I started volunteering in my free time as a student about two years ago, and have yet to find a way to feel more connected and motivated. Each time I volunteer with FOR is a fresh adventure. The skills and experience gained through volunteering, and the employment networks it can open up, are massively important – especially for young people. Whether it is a river cleanup, outreach, or helping with education programs, FOR can really help to build confidence in your abilities. If you are a student or just starting a new life chapter – come find your way and offer a helping hand at the same time. 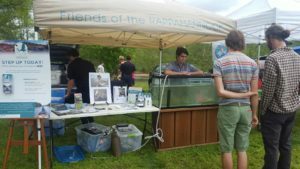 Volunteers frequently help at outreach events, like the annual Earth Day celebration in April at Old Mill Park in Fredericksburg. Besides being challenging, volunteering with FOR is just pure fun. The inside jokes are endless, the laughter is contagious, and the smile on my face lasts long after the whistle blows. If you are looking for a way to support the community you live in, the community you love – come volunteer with us and you’ll find a lasting bond with a group that never quits and is definitely never boring. I fondly refer to FOR as “Family of the Rappahannock” and I intend on being a member of it for a long, long time. If you’d like to join the FOR Family of volunteers, email Woodie today.